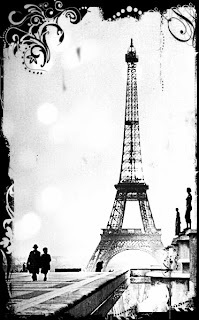 I created this image using a vintage photo of the Eiffel Tower, black and white is always classy. Thanks so much! I really love this image! I have lots of fun creating these images. You may also like to sign up to receive my package of 101 FREE digital images, as there are 2 more Eiffel Tower images in this pack that you may like. I will be adding another page to my blog soon where I post images and stories from people such as yourself who have created interesting art and craft projects using my free images. And if you want to be included in my new page where I feature items that my users have made, just contact me and I will let you know what the process is.